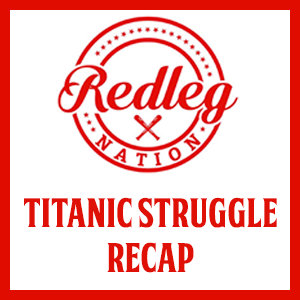 Crap kids, I am sorry for the hastiness and tardiness of this recap. But here are some game-related baseball thoughts. Anyhow, here is the box score and the win probability. I am extremely and pleasantly surprised at how well Matt Harvey has pitched since the Reds got him and I look forward to him being lucratively flipped at the deadline if this continues. I did not think much of this trade when it happened, and I’ve been wrong so far. Scooter was great tonight. He’s been great for a little bit now. He should still be traded. My twitter mentions are currently a tire fire because I said this, but it’s true. He’s 28 and already can’t play defense and, I mean, some of you were real unhappy with the last few years of the BP deal. A Scooter extension could make that look like a Caribbean vacation. He’s a solid player at his absolute peak and, yeah, exactly the player you trade because he’s incredibly unlikely to keep this up into his 30s. The Reds are 14-14 in their last 28 games. That’s ridiculous. Completely ridiculous. They are 9-5 in their last 14. Even more ridiculous. Baseball is weird and, at this point, I’m gonna have a hard time being surprised by anything that happens this year. The Reds play the Pirates again tomorrow. Another winning streak would be nice, huh? I guess that unless some team is absolutely desperate trades are put on the back burner Ã¢â‚¬Ëœtil after the draft. Then weÃ¢â‚¬â„¢ll see wheelinÃ¢â‚¬â„¢ and dealinÃ¢â‚¬â„¢. Not sure whether I agree or disagree with your assessment of Scooter except that he isn’t a 2B; but, he is all of 5 months older than Scott Schebler. So, anything that can be said at least on the offensive side about Scooter probably also holds true for Schebler in terms of where he is on his career arc and how likely he might be to maintain production. All of which brings me to say I’d like to see what Scooter looks like in LF. It is a ways down the chain to the outstanding OF prospects; and some of them may not pan out as they get to higher levels. Schebler is a question mark and for that matter so is Winker at this point. IF (big if) Scooter can play reasonable defense in LF, he might be worth the risk of a 4 year deal if the money isn’t too steep. Just saying don’t count that possibility out without exploring it. Scooter has a year of team control left. There doesn’t have to be a rush to move him prior to the off season. Take their time and figure it out. I think only because Scooter was up earlier than Schebler and thus built service time more quickly. He has always played in the Reds division so we’ve seen a lot of him over the 5 years which adds to the feeling. I agree. Schebler for some reason gets a pass on this site. The guy has done zip. He is not part of the future. I don’t claim to be an expert but I would think that hitting 30 HRs in a season, finishing 10th in NL with HRs per At Bats, and finishing 4th in NL with RF Assists in basically your first season as a regular would constitute more than having done zip. I doubt that Scooter’s offensive swing is going to age much as he nears his thirties. The season is still young and the Reds are going nowhere, so this is the time to test Scooter in the outfield. Rebuild or not, you don’t want to give away a proven cleanup hitter for prospects. If the outfield tryout doesn’t pan out, there’s plenty of time to trade Gennett in the offseason. Jim, I think I agree with you, a two or three year contract with Gennett may be worth exploring if he can play in left field. I like Winker but right now something is missing. Is he hurt or just can’t quite get to MLB pitching? In my opinion Duvall does not cut it despite the HRs and decent defense, he is having a lot of trouble getting the ball into play. I see nothing from Schebler that yells he’s a keeper. He has great power when he hits but his pitch recognition, strike recognition and on base skills are severely lacking, unless there is some sort of light bulb that comes into head. So our outfield collectively is just not getting it done, so maybe when Senzel comes up, we try Gennett in left. A trial like that is not going to hurt. It really is a question of service time between Scooter and Schebler. While they are about the same age and can be viewed as like to start regressing in a few years, Schebler hits arbitration for the first time this winter. Scooter, who is currently the third highest paid on the active roster, will be in his final year of arbitration. Because he’ll still be inexpensive we can afford Scheblers potential decline to a bench roll. Extending Scooter risks a repeat of the Phillips contract while potentially blocking cost controlled talent ie Senzel or maybe Shed Long. Scheblers decline? He hasn’t done anything yet and he is almost 28. And we keep saying bench players. My God we will have 20 guys on the bench apparently. IÃ¢â‚¬â„¢ve become a great fan of Scooter, a good slugger (not sure from where he gets the power) and excellent dugout presence. If only heÃ¢â‚¬â„¢d be able to man LF, itÃ¢â‚¬â„¢d be worth an extension. Scooter is carrying the team and costs nothing and they have control for awhile there is really no reason to rush a trade. This team would be that much worse without him, defense aside, his bat makes a big difference, he is looking like a legit all star at his position right now, no sympathy vote needed! I am extremely and pleasantly surprised at how well Matt Harvey has pitchedÃ¢â‚¬Â¦Scooter was great tonight. HeÃ¢â‚¬â„¢s been great for a little bit now. Yep, let’s get rid of both. Can we please stop all this Let’s trade Scooter talk now. We have a quality player who can play multiple positions, is a local boy and can produce. Let’s stop looking for a prospect who might produce down the road. It’s time to lick him up with a 5-6 year deal. Let’s stop all this Nick talk, if Nick is all that his talent will get him to the show and playing time. He is a quality bat, but I disagree he can play multiple positions unless you consider DH a position. The real question is can he be locked up at a reasonable rate or has his performance made him cost prohibitive. An expensive long term deal is always a gamble Gamble and evenore so for the Reds. See Mesoraco and Bailey contracts for examples. Anyone not with the Reds beyond 19 should be considered trade candidates. Iglesias and Scooter, while both key members of the current team likely will leave via free agency with nithnot in return if not traded. We have also seen with the Frazier and Chapmay trades that holding on to fan favorites too long has cost the team. Iglesias is under control a bit longer: through 2020 (I can’t remember if there’s an option year, but they could give him a QO for another year of control). He can play multiple positions, but plays them all poorly (as in below average, and as he ages, that would normally decline to an even poorer place). The big issue is that the Reds need more talent in the pipeline (and on the big club); they have to acquire it somehow, and Scooter is a potentially strong piece to help make this happen. Looking at Baseball Reference it looks like he has played 553 games at 2B, 16 in the OF (10 starts) and 10 and 3B (8 starts) in his career. Not enough at other positions to tell if he can play them or not in my opinion. He didn’t make any errors in the OF but that doesn’t tell us whether he could cover the position (LF and RF) and made 2 errors at 3B in 19 chances. Agreed with those that say now is the time to move him. The leverage with Seattle has just gotten greater so package him with another part of the problem and let’s go! And get exactly what another prospect who has a greater chance of being a bust. And get exactly what? Seattle doesn’t have much in their cupboard. I will admit I was wrong also. I said MEH, but now it is looking good. If he can keep this up, flip him, and get a nice prospect. Power hitting 2B’s are a more rare commodity than OF. 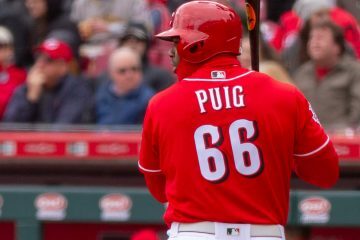 I’m not on the “trade Scooter” train unless the return is very strong or unless the Reds just don’t plan to compete in 2019. Even then, I’m not sure I don’t try to extend him first. The Reds should be able to find Senzel a place to play if that’s the worry. The Reds could also leverage other prospects possibly in trades. If it doesn’t look like it can get done on grabbing only 2-3 free-agent years though and at the right money, then he needs to become available. Having said that, he is no Chase Utley as Utley, in his prime, was a very good defender at 2B. I donÃ¢â‚¬â„¢t understand those who think trades are the answer to everything especially a franchise that isnÃ¢â‚¬â„¢t very good at trading. There are some parts here but to trade some of those parts for more parts (prospects) is pretty sad four years into a Ã¢â‚¬Å“rebuildÃ¢â‚¬Â. This franchise should have been bold like Philly and signed Arieta. Spend some money on veterans to add to the young talent. It would be different if this franchise was loaded at the minor league level and prospects could be traded for vets but this franchise is far from loaded talent wise. Arrieta is older than Harvey. If Harvey couldn’t be part of the Next Good Reds’ Team, why could Jake? The question of whom to trade (or trade for) comes down to the arrival schedule for that aforementioned team. ‘This franchise is far from loaded talent wise’. This statement is exactly why trading for more pieces, talent that has a chance of being part of a bigger talent pool at the big club level in 2019-21, is important. I (and most on this board) agree that spending some more dough on veterans will be important in the immediate future (within 12 months). The thing I’m actually curious about is if Scooter can play CF. Scooter obviously has some wheels, and I’d wager to say he’s faster than Schebler. The only real question I have about Scooter is how good his arm is. But if Scooter could handle OF, Winker/Scooter/Schebler looks good to me for the next 4 years or so. Blandino can take over at 2B until the IF gets sorted. I’m still hoping what happens is Suarez moves back to SS, Senzel stays at 1st, and Peraza moves back to 2B until Long, Herrera, or someone else makes a case for the position. Trade Billy to a contender as a late game baserunner/defender. That lineup would score runs all day. It’s worth trying Scooter in CF just to see if this lineup is possible, especially since Blandino is already here and can more than handle 2B. With the possible exception of Jose, that’s a disastrous lineup up the middle. Plus the outfield you list aside from Schebler is weak in a small park and way over-matched in a large one. I agree we should trade Billy to a team with a bigger park. It’s all about value for the trades and who you keep on the field. Outfield is weak besides Schebler? Schebler couldn’t carry Scooters jock. I believe the reference to weak was about defense. Schebler is pretty fast. Not sure that Scooter is faster. But Schebler has yet to show that he can hit, so I’m not sure why so many of us want to pencil him in to the future outfield. Trade Billy if there is a legit centerfielder to take his place, certainly, but the idea that his defense is so much more valuable in a large park is illogical: All parks are the same, foul line to foul line, for one thing, and he’s able to play shallower in a smaller park. The fact is that balls sometimes get hit over his head in GABP. I disagree that all parks are the same foul-line to foul-line. The OF corners being deeper means more square-footage in the OF. Then there is the fact that the alleys in some parks are deeper than others making more square-footage. CF is deeper in some parks meaning more square-footage. Colorado has a much large OF than Cincinnati. In such a park, Hamilton would have more value in his defensive range. Good points, LW, but I was referring to the width of the playing field which, as you note, is not the whole story. Still, BH, fast as he is, doesn’t get to all of the balls hit into his sector at GABP, and he is able to extend his sector further towards the infield. He’d be valuable in a larger park since he’d get to balls that other guys wouldn’t, but he does that at GABP, too. I bet the added value wouldn’t be great–certainly not great enough in the eyes of a trading partner to compensate for his hitting. Is there anyone who thinks Scooter can play CF. He was horrible in the game I saw last year trying to play LF. Maybe that was due to lack of experience, but it was bad. Scooter is the 3rd slowest player on the roster by sprint speed. Winker is slightly faster. One mistake I think people make is to assume that taller players with long, loping strides are slower than short players with quick strides. The short guy totally looks fast, but that doesn’t mean he is faster. Also, for the record, I thought you were probably right about Scooter being pretty fast and went to look it up to confirm. Turns out we were both wrong. Scooter might have slow number due to the number of home runs he hits. Those slow home run trots are throwing his numbers off. I assume you’re joking, but they would not be accounted for here. I was joking but now I think that home run walks should be included. Suarez has been the best offensive player on the Reds this year. Scooter, obviously, was not remotely the best hitter on the Reds last year. I had always thought that Scooter was doing it with mirrors. But I had an excellent seat at one of the Cubs games, so saw Scooter – and major league pitching – at very close range. It occurred to me that it is pretty much impossible to stand in against the world’s best pitching, and luck into the kind of numbers that Scooter has put up for over a year now. Why, really, should it be assumed that he can’t continue hitting like this into his early 30s? If they do trade Scooter, the primary consideration should be that he is one fine hitter, and even an elite hitter against right-handed pitching. If no other team recognizes that Scooter is a helluva hitter, and offers some real value for him, then the Reds should recognize that they’ve found a market inefficiency with him and keep him and even resign him. I do agree that they should explore left field with Gennett. He’s sure got a better track record than Schebler, whom I’ve always liked but whose numbers are not really cutting it. Winker is turning into Fredo Corleone for me; his May numbers look like Homer Bailey’s career numbers. Winker isn’t drawing nearly as many walks, because the league has figured out that he does no damage when they throw him strikes. Meanwhile, the Matt Harvey Experiment is going very well. Not sure what’s up with Winker.Was panned in Louisville for no power and comes up last year at hits a bunch out. Nothing so far this year. Perhaps pitchers have figured him out and he needs to adjust…or the platooning makes it hard for him get a groove. Don’t trade Scooter until Senzel is ready to play 2nd base (and bears fruit). Not sure what’s up with Winker. He was panned while In Louisville for no power, then came up last year and hit a bunch out. This year so far, nada. Maybe the pitchers have figured him out and he needs to adjust…or the platooning keeps him from finding a groove. Can’t trade Scooter until Senzel is ready to bear fruit…or if you’re ready to add Blandino to a lineup with Hamilton, Peraza, and now Duvall. Ed, I am with you on Scooter. I don’t buy the argument that Scooter’s last year and a half of terrific offense should be considered lucky or an outlier. I’m sure there are statistics that back up that argument, and I respect them. I think he’s someone who has bloomed in his mid- to late 20s. The guy can hit, and he does it in clutch situations and with people on base. I don’t think he is the starting second baseman for a good team, and I am in favor of trying him in the outfield. But I don’t think you trade him (or anyone) just to get them off the team, especially someone in the top 50 in MLB in wRC+. That is an Amen from the Choir. I don’t mind trading Scooter, IF we get a good return. I don’t think we will get that from Seattle, so let’s hold back the reins a bit here. We need to trade for three things. A Centerfielder who can hit, a shortstop that is either a whiz at defense or at least can hit enough to offset that and perhaps a MLB ready starting pitcher. Anything less than that is simply jettisoning players, we should be past that a moving towards building a great team. As noted on this site earlier, Scooter is getting rather lucky offensively. Thus, while he’s peaking, I say trade him. Eventually, he’ll have to regress. He’s been a great pickup. If we get some value out of him, I would consider the entire episode as sage and savvy by the FO. If they don’t capitalize, I would say other things that aren’t so nice. Everybody regresses, eventually. The question is when? The answer is not writ on a magic tablet, because it’s variable. Let’s not have it be on our hands when it does happen. That’s why I say trade high in this situation. Trade Billy! Trade Scooter! Trade Duvall! Trade Scott Schebler!! Trade ’em all! Really, I don’t have any inside information on the Reds front office, but perhaps trade offers have been made, and the Reds felt they were getting little in return for the players offered. And maybe that’s right. These guys are terrible! Trade them and get Great Young Prospects! Make it so! Either they are good players who need a new home, or they are what we think they are, and other teams have very accurate scouting reports on them and really aren’t that interested. Billy, for instance, has a career OPS of < 0.7, and is currently batting around 0.200. I'm sure there are a bunch of teams that want him. Sure there are. Scooter has become a pretty good hitter, but he is a pretty crumby 2nd baseman. But nobody knows that but us. Duvall has a career ML batting average of < 0.240, but he hits a lot of home runs. But he gets tired later in the season because of his diabetes. I'm sure someone would give us a top drawer prospect for him. Actually, as I recall, he was something of an add-on to the Mike Leake trade, which netted us Keury Mella and Duvall. Pretty good trade, but I don't think Duvall is that hot a commodity. Schebler has yet to really live up to what is supposed to be his potential. Poor strike zone discipline at times, and not really good pitch recognition. And then, he gets yanked in and out of the lineup with this 4 man outfield rotation thing. But let's trade him for….something. Sometimes its not the return you’ll get in a trade but just changing the product on the field. For example….the MLB network is almost like the Yankees network as they show the Yankees all the time. I happened to catch KC/NYY the other night and they were talking about Whit Merrifield for KC. He’s a late bloomer (29 yrs old) that has become a pretty good player. They said he put on 20 lbs and ate 7 eggs every morning along with working out to get bigger and stronger! I’ve been talking about that w/Billy on here for 4 years now…and yet he’s the same punchless stringbean that he was 4-5 years ago! That’s unacceptable!!! That’s a lack of dedication to improving your game!!! Adios amigo….don’t let the door hit ya and I don’t care what they get in return! Its easy to overvalue your own players and the Reds do it.Hanging on to guys way too long is what this team does and end up getting nothing because they decline or they get too expensive.The Reds locked up Tucker and Eugenio to go along with Votto.Who else deserves an extension? Reds need to pick 2-3 players as long term answers and then rotate younger players at other positions from the system and via trades. The Reds should utilize a player like Gennett as long as they can, but, they should not extend long term. Particularly when the Reds have plenty of replacements for Gennett in the organization. Instead, the Reds seem to think their existing players that have produced 4 straight 90 loss seasons are the answer going forward. The guys mentioned for trades would probably net an A ball or High A ball mid-level prospect. That’s it. Yeah as we know prospects = winning baseball. Brooks Basebasl shows Harvey was routinely mid-90s all night. Got to be happy with that. I thought this trade was moronic but was wrong. It’s still early. Give him until mid-July, unless he is lights out next month and somebody makes a dynamite offer. The Pirates hitting lately has been pretty bad. But yeah, this COULD work out for the Reds. Still paying Mesoraco’s salary. Weak work out. Well since Harvey has been here only 3 starts, so things can change, but he’s looked liked our best starting pitcher. Never would have thought that possible. I don’t know what that says about the rest of the incumbent starting pitching, but It doesn’t say a lot of good things at the moment. I think what it says is that our other starters (excepting Bailey) are young and haven’t learned to be pitchers yet. Harvey was a budding star until injuries got him and missed all of 2014.He was a high draft choice and right now he is working his way back after another set back.Easy to see his mound presence and his stuff tells why he was an ace at one time.He is gone at the deadline and I hope we get a little bit for hm.I do enjoy watching him pitch so far because he does it with an attitude and its obvious he does know how to pitch.He does have over a 100 starts under his belt as well. Harvey was sitting 94-96 with his fastball last night and hitting lots of corners and edges. He got squeezed by the ump in the first inning, but after than he looked great. If he keeps this up, I think there will be a lot of teams inquiring about him at the trade deadline. We find a guy on the scrap heap and give him a chance to turn it around….then of course if he does then the Reds can’t afford him? Manny Machado will probably be going to the Cubs. Chris Sale to the Red Sox. Stanton to the Yankees. Between the big market teams hogging up talent and the Cincy-sized market teams running laps around Sideshow Bob’s inept organization? I’m losing hope with this team? i was at the game last night. we actually looked like a major league team! our defense was really good! Billy made a great catch and hell of a throw to keep a pirate at third base on a single up the middle. The change of scenery has done Harvey well so far. A lot of crow burgers being served up today. Scooter has had a monster May to date. The Reds are 10-10 in May. The outfield is brutal and it would seem that the Reds should consider Gennett for an OF spot. But LF may be the only spot and the Reds currently have 3 LF and no RF on the 25 man roster. Hamilton and Duvall had bad Aprils and are having better Mays. Winker and Schebler had good Aprils and dreadful Mays. Peraza is in the same boat, good April and dreadful May. Scooter is just killing it. So how are the Reds 10-10 in May? Scooter, Suarez, Votto and Barnhart are carrying the team offensively. That is a heavy load for just 4 guys to carry. And Harvey has helped stabilize the rotation to a degree. Homer has been dreadful and the 3 rookies have been very inconsistent. 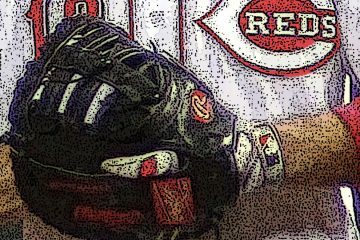 The bullpen has been very good and should get a boost when Lorenzen returns very soon. Bring up Stephenson from AAA and send Mahle down to work on a couple of things. Stephenson gets one last shot to show what he has before the trade deadline and Mahle gets to work on a couple of things and gets that extra year of service time restored. Brandon Dixon should offer some help for the woeful OF. Two new OFers, a new SS and new starting pitcher sure would do wonders for this team. Castillo was off to a dreadful start of the season. Price did nothing to help, lacked managerial decisiveness let alone the ability to observe and suggest adjustments for the pitchers under his watch. He only complained about pitchers walking batters and not getting hitters out. Danny Darwin comes to the MLB and coaches Castillo as he did in AA ball and lo and behold what have we here, an adjustment made by an actual coach and Castillo has performed well the last few starts. Mahle is fine, he will be a solid solid pitcher for years to come….when he has the 94, 95mph fastball. the last start he barely got to 90, 91.
this team is not far away from being able to contend. of course there are a lot of contenders. Reds are stuck in a division with Brewers, Cards, Pirates playing better than expected in the results column. there will be regression. Reds need another couple solid starters. Homer doesn’t cut it. Romano may or may not develop into the 4th or 5th starter. Harvey will be solid but flipped by year end. The relief corps is performing well now that they’ve gotten rid of Guardo and the AAA crew. The outfield needs an upgrade, one major bat. Maybe that’s Scooter as others have suggested. Senzel hopefully fills an infield gap, Peraza needs better pitch recognition or discipline or try Blandino a former 1st round pick there. Outside the ugly start and terrible 4 years of managing, the Reds, while hampered with bad back loaded contracts (Votto, Homer), are not far from contending for winning baseball. Looks to me like Winker needs to add some muscle. I gotta admit, I have thought the same thing. It’s hard to tell with his uniform, though. I think a lot of Reds need to step up their weight training and core strength, including specifically the young starting pitchers. To me, the key to command is having a repeatable delivery, which very strong legs and core will help with. Think Jake Arrieta and Cliff Lee, or Joey Votto, as the model. It’s worth looking at photos of guys like Ted Williams. The Splendid Splinter was an accurate description. How did he do it? He saw the ball and he had great mechanics.